The Goonies Steelbook - Zavvi Exclusive. 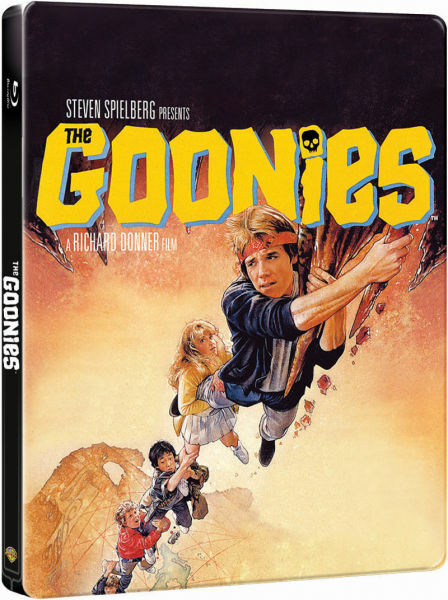 Classic movie The Goonies is getting a Zavvi Exclusive Steelbook release later this year, something which the other half of the Asylum, Allan, is mega excited about. With different artwork from the Japanese release from only a short time ago, collectors have no need to worry about this one coming along so soon after the first. Preorder link is live, and can be found here. Release date is set on the 7th of October 2013. The Beyond Steelbook - Zavvi Exclusive. The Beyond is getting a Steelbook release which will be exclusive to Zavvi. 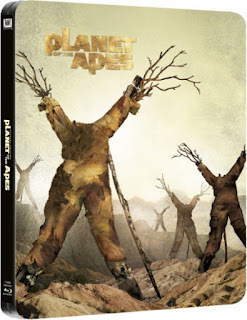 As well as two discs, it will contain a collector's booklet with an interview with the star, Al Cliver, as well as illustrations from the collection of David Warbeck. Preorder link is already live, and can be found right here. Due for release on the 21st of October 2013. 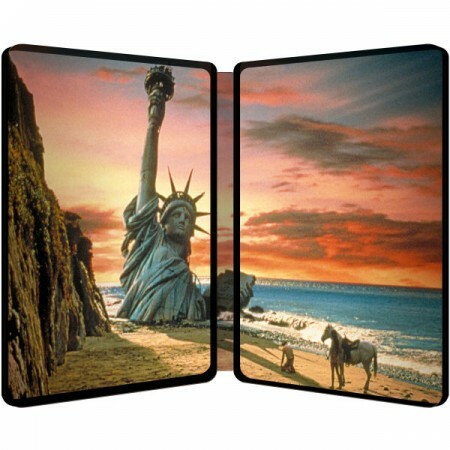 Planet of the Apes Steelbook - Zavvi Exclusive. Another classic release, exclusive to Zavvi - Planet of the Apes, with embossed artwork, which I expect will just be the title. Preorder link is already live and can be found right here. Due for release on the 8th of October 2013. 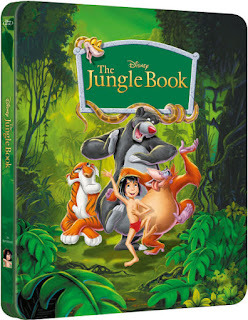 The Jungle Book Steelbook - Zavvi Exclusive. 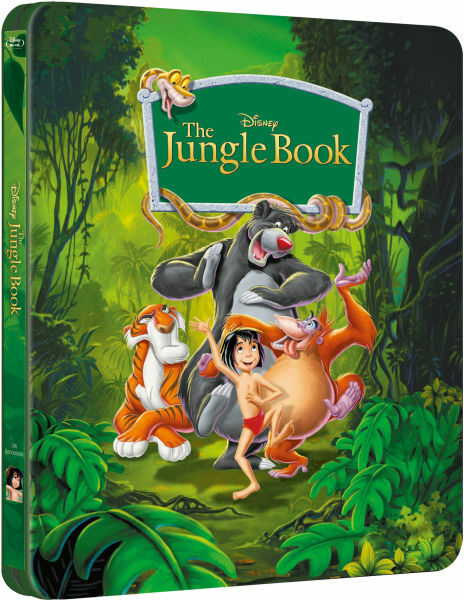 Another Disney Steelbook release exclusive to Zavvi, and yet another gorgeous one to add to the collection - The Jungle Book. As with The Little Mermaid, no inner or reverse artwork currently revealed, but if they're anything like the front, they will be gorgeous. Just look at those colours! Preorder link is already live, and can be found here. 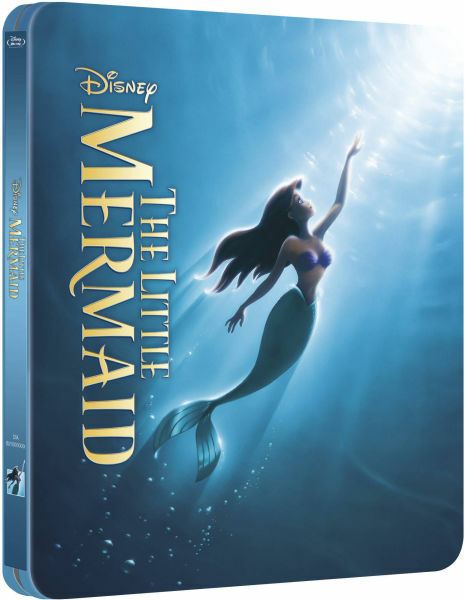 Price is £22.99, same as The Little Mermaid, and again, unfortunately a little more expensive than what the previous Disney Steelbook release from Zavvi was (Finding Nemo - £16.99). Release date is set for the 16th of September 2013. 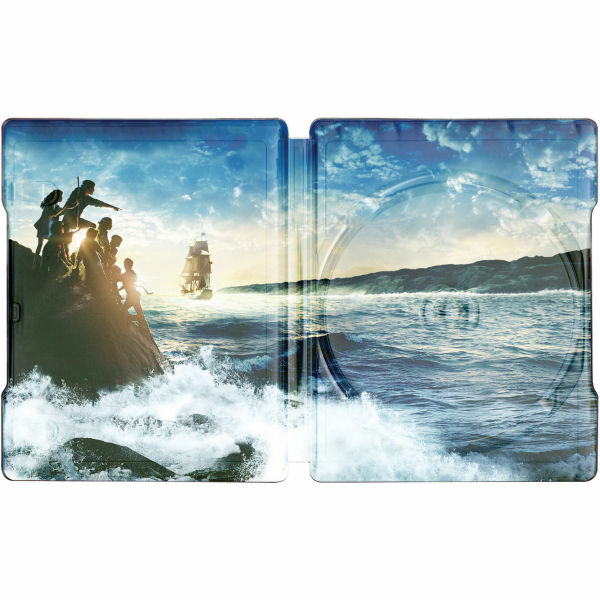 The Little Mermaid Steelbook - Zavvi Exclusive. 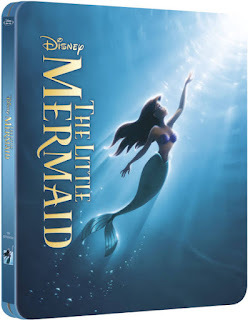 Yet another Zavvi exclusive release, one of which I have mentioned in a previous post - The Little Mermaid. No inner or reverse artwork revealed as of yet, but the front artwork is definitely beautiful. Looking forward to adding this one to the collection. Price is £22.99 (a little more expensive than the previous Zavvi Exclusive Disney release). 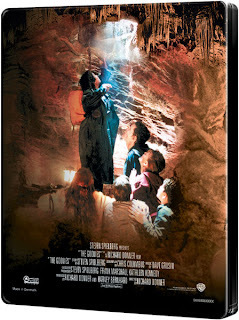 Release date is set for the 23rd of September 2013. 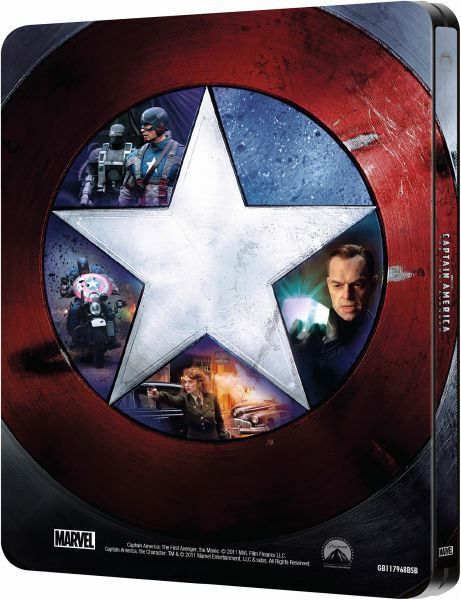 Captain America: The First Avenger Steelbook - Zavvi Exclusive. Zavvi have recently acquired the rights to their own exclusive steelbook release of Captain America: The First Avenger. 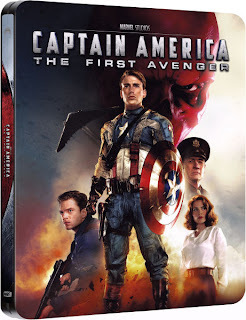 The artwork will differ from the original, first steelbook release which was exclusive to HMV, in order to prevent the value of the first from depreciating. Preorder link is not currently live, but can be found here. Current price is listed at £15.99, but this could possibly change. Release date is currently set for the 28th of October 2013. 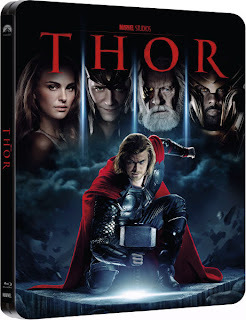 Thor Steelbook - Zavvi Exclusive. Zavvi have recently acquired the rights to their own exclusive (in the UK at least) Thor steelbook. Artwork is different to the previously released HMV exclusive, in order to prevent this run from devaluing the first. Preorder link is not yet live, but can be found right here. Current price listed is £15.99, although this may change. Release date is set for the 28th of October 2013. So I decided to quickly run round the collection taking quick snapshots of everything. Apologies for the ugly watermarks over everything, it's just to prevent people from using my photos as their own (however when I get back into photographing everything individually, the watermarks will be less obvious and ugly). There are quite a lot of things missing from these photos, due to them either having been put away for my birthday, or away in storage (plus some things are out on display but their boxes are in storage, so that may make some things harder to work out what they are). Livingroom Shelf Pt. 2 - Behind TV. Inside the Cupboard of the Shelves in Pt 2. Portal Turret Exclusive by Gaming Heads - waiting on a replacement. Ganondorf Exclusive by First 4 Figures - waiting on a replacement. Art books, guide books, DC Chess collection magazines and Dead Island Riptide Zombie Bait Edition. Close up of Guide Books. Max Payne 3 CE - Still boxed up as no room for it to go on display. Yet more boxes in bedroom! Atari and Mega Drive II. Sega Saturn (plus Virtua gun) and Dreamcast. Assorted movie props. Used to be on display, but no space right now. Cowabunga! AJ's room Pt. 3. This was Allan's when he was little, AJ has now inherited it. Zelda stuff - hidden away in a cupboard to protect them. Not exactly the neatest, however. And that's everything, bar the things I've yet to receive (either in the post, or for my birthday). If you want to know what anything in the photos is, just ask! Anyway, as revealed this morning, Saints Row IV has been BANNED in Australia, despite their recent implementation of an R18+ rating. 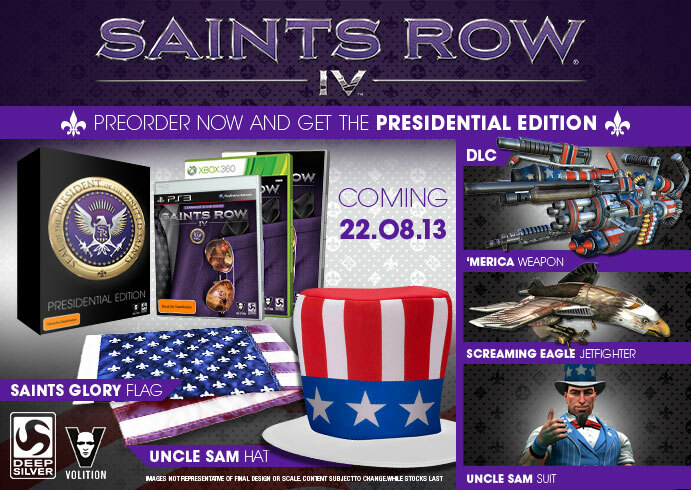 Of course, they may make a slightly edited version for the Australian market, in order for it to still be released there (like what is often done in Germany), but if not, then it looks like the Australian CE for Saints Row IV will never come to fruition. So, as much as I prefer the "Super Dangerous Wub Wub Edition" to this one, I'd still like to get it, so I really hope that either the people who deemed the game to be too bad, even for an R18+ rating, change their mind, or that it receives a "Cut" version. 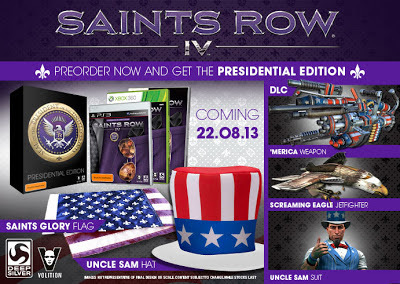 What do you think about Saints Row IV being banned in AUS? Will it affect you? Entries to the Asylum - 14th June 2013. Entries to the Asylum - 13th June 2013. Entries to the Asylum, 12th June 2013. Nintendo Direct E3 Round Up. Entries to the Asylum - 11th June 2013. Microsoft E3 2013 Round Up. Entries to the Asylum - June 10th 2013. Entries to the Asylum - 7th June 2013. Entries to the Asylum - 6th June 2013. Entries to the Asylum - 5th June 2013. Entries to the Asylum - June 4th 2013. Entries to the Asylum - 3rd June 2013.